Called “a cellist with rich tonal resources, fine subtlety and a keen sense of phrasing” (Gramophone), cellist Anthony Arnone enjoys a varied career as a soloist, chamber musician, conductor, recording artist, composer, and teacher throughout the country and around the world. Mr. Arnone is associate professor of cello at the University of Iowa School of Music, and is also on the faculty of the Preucil School of Music in Iowa City, where he teaches and conducts. Mr. Arnone has collaborated with many of today’s great chamber ensembles and artists including members of the Pro Arte Quartet, Cypress Quartet, Fry Street Quartet, and Arianna Quartet. Performances have taken him around the United States, Europe, and Asia to many of the leading concert venues as soloist, chamber musician, and conductor. Mr. Arnone’s recordings with Albany and VAI have received acclaimed reviews in prominent music journals and online classical sights. An avid performer of the Bach Suites, Mr. Arnone wrote and self-published his own edition of the 6 Cello Suites with a composed second cello “Continuo” part to aid in teaching and performance. 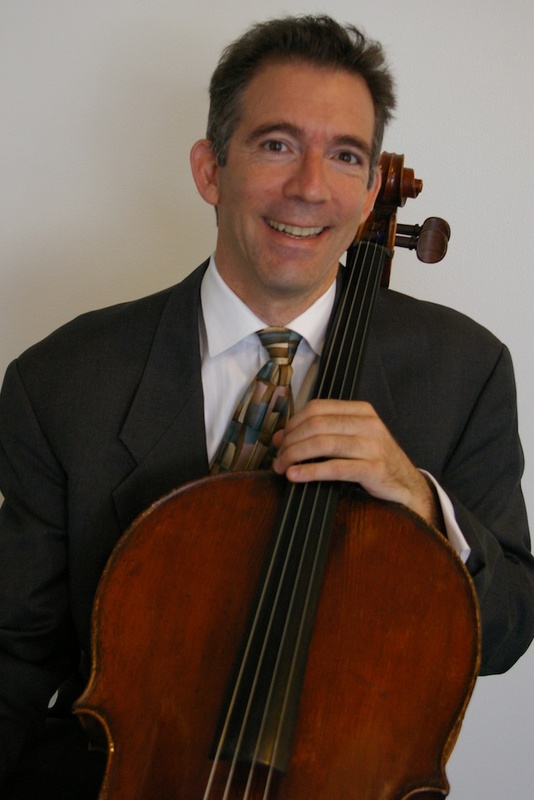 As a cello soloist and chamber musician, Mr. Arnone was a founding member of the Meridien Trio and the Sedgewick String Quartet, which performed regularly at the Spoleto Festival in Charleston.More recently, he has been part of the Matisse Trio, a faculty trio at The University of Iowa, which has played throughout the United States. Mr. Arnone is also regularly featured as soloist with orchestras including performances with the Madison Symphony, Dubuque Symphony, and Orchestra Iowa among others. Mr. Arnone’s love of teaching has taken him throughout the country to give master classes, including Oberlin College, the Cleveland Institute of Music, and San Francisco Conservatory. At home, Mr. Arnone brings celebrated teachers and performers to The University of Iowa for the annual “Cello Daze,” a weekend of lectures, concerts, and master classes. Past guests include Richard Aaron, Colin Carr, Hans Jensen, Paul Katz, Bonnie Hampton, Joel Krosnick, Norman Fischer, Marc Johnson, Anthony Ross, and Robert DeMaine. A native of Honolulu, Mr. Arnone received his bachelor of music degree from the New England Conservatory of Music, where he studied with Colin Carr. He left graduate studies with Bonnie Hampton at the San Francisco Conservatory to accept a position with the Orchestré Philharmonique de Nice, France, where he remained for two years, continuing his studies with Paul and Maude Tortelier. He later returned to the United States to complete his master’s degree in conducting at Wichita State University. Before coming to the University of Iowa, Mr. Arnone was principal cellist of the Madison Symphony, and taught at Ripon College in Wisconsin. He has also taught and performed at the Madeline Island Music Camp, Eastern Music Festival, the Stonybrook Music Camp, the Spoleto Festival in Charleston, SC. and the Festival Dei Due Mondi in Spoleto, Italy where he was co-principal cellist for seven years.